Happy Monday! Hope you had a good weekend! Mine was super low key. I spent a lot of time with my friends which was nice. Today I'm sharing a fun kimono from Peach & Pepper that I just LOVE! Peach & Pepper is local to Denver and I love all they have to offer. 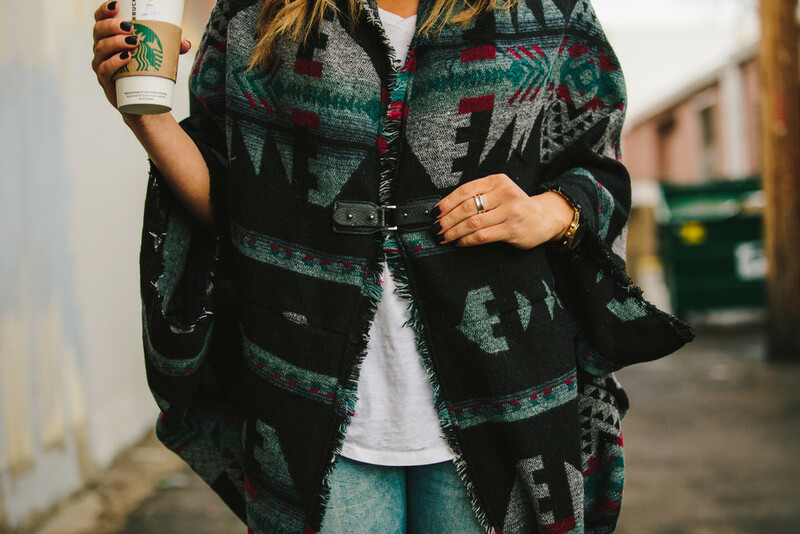 This kimono is just the coziest thing ever and such a statement piece so it's easy to throw on with jeans and a tee and still look great. Plus, it's like wearing a blanket all day, how great is that?! At Sweet & Sauer I love to keep it simple and easy, while still looking stylish and put together. Peach & Pepper kimono for the win! Have a great rest of your week, thanks for stopping by!